Phil joined Spreadshirt in 2009 as Head of the Sales and Marketing, bringing with him a wide breadth of experience and success in fast-growth sectors. In 2011, he was appointed Chief Executive Officer, with a sole focus on bringing Spreadshirt from a start-up endeavor to a highly-profitable enterprise. His forward thinking and tireless efforts have paid off: having set the €100M turnover mark as a target from the outset of his tenor as CEO, Spreadshirt will surpass the benchmark for the first time in 2017. Phil initially launched a career in newspaper advertising before changing over to online management in the early years of e-commerce. His twenty years of experience in the new media have helped Spreadshirt become the world’s biggest e-commerce platform for on-person self-expression. Phil is dedicated to empowering customers to express themselves through creating, discovering, and selling clothing and accessories in an exciting and straightforward way. “When you work with passionate people on things that make customers happy, it doesn’t even feel like work.” This mantra is testament to Phil’s leadership style and dedication. Tobias joined Spreadshirt as Chief Financial Officer in 2009. He had previously assumed leading positions at internet service provider UUNET as well as DocMorris, Cleanaway, MCI in Germany and abroad. Tobias’ career started in corporate consulting after attaining a degree in Business Economics. At the core of his contribution for Spreadshirt, Tobias is concerned with fostering the company’s growth by making new lines of business profitable by means of honing the interplay of performance and organisation. The various and manifold experience he brings to the company prove beneficial for Spreadshirt’s finance & controlling systems, business intelligence solutions, marketing analysis, as well as multi-agent-based simulations of consumer behaviour. At Spreadshirt, Tobias is responsible for accounting, controlling, analytics, legal matters, fulfillment and asset management. 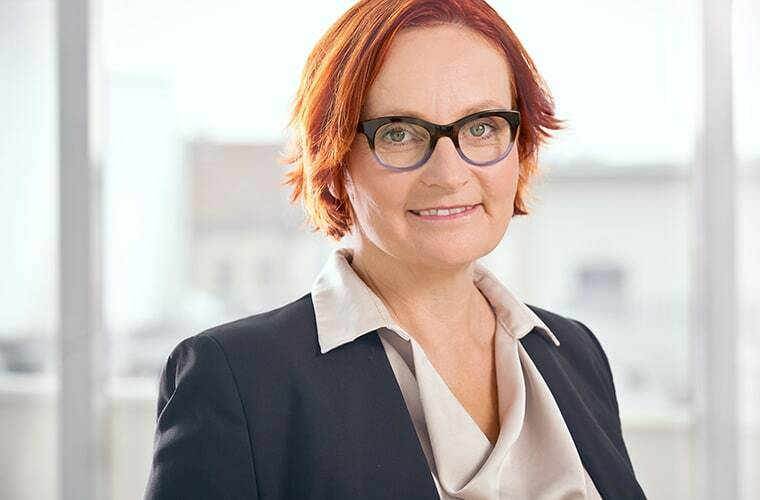 Hanne has been Chief Customer Delivery Officer at Spreadshirt since 2018. Next to managing the five production sites in Europe and North America, she is also responsible for the strategic management of Operations, Factories, Assortment, Purchasing and Customer Service. Previously, she worked in the automotive and wind energy industries for 18 years. Besides an MBA, she has an M.A. in "Systemic Consulting and Art-Analog Coaching". Hanne's varied education has already enabled her to advance organizations with an artistic eye, courage and creativity. Her greatest successes have been significant improvements in quality and efficiency as the head of final assembly at Ford and as a plant manager at Vestas. As Head of Logistics, Production Control and Controlling at BMW, she was responsible for the consistent implementation of BMW's strategy and was awarded the industry prize "Best Factory 2013" for the BMW plant in Leipzig. Hanne is convinced that customer satisfaction and smooth production processes are key to successful production. She wants to prepare Spreadshirt for the future by fostering organizational development, further development of production processes and networking of her international teams. Guido has been Chief Technology Officer at Spreadshirt since 2013. Comprehensive experience in the IT sector garnered in several management positions at various leading international companies such as DaimlerChrysler, SAP and Hasso-Plattner-Institute is what Guido brings to Spreadshirt. Before joining the company, he was a figurehead at Software AG, acting as Vice President of their global consulting sector. In his previous position at itCampus, he was Managing Director of its Software AG branch. At Spreadshirt, Guido is responsible for all operational and staff-related matters of several IT departments ranging from IT service to development. Thanks to his expertise, he guarantees the failure-free operation of our platform as well as its continuous growth by means of optimisation and further development. Hugo joined Spreadshirt in 2008, acting as Head of Global Marketing and Director of the Direct-to-Consumer (D2C) business unit. His direct impact on the company's success and sustainable growth over the past six years have earned him a well-deserved promotion to Chief Commercial Officer (CCO). His engagement in search engine optimization (SEO) helped generate a turnover growth of more than 30% in 2012, leading this channel to become a vital worldwide instrument for customer acquisition. Hugo's first exposure to direct marketing came with the Christian Science Publishing Company in Boston, Massachusetts. His successes with the company in interactive marketing subsequently led him to a role as Interactve Marketing Manager with tech-firm DigitalGlobe. In his new role as Spreadshirt's CCO, Hugo will be responsible for leading the company to success in its three core areas of focus: Internal and External Marketplaces, Partner Business (through the SreadShop system) and the Create-Your-Own sector (through the T-Shirt Designer).